FRIEDRICH VON HAYEK and Walter Eucken parted company over the issue of power formation in the private sector. 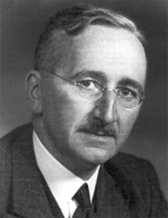 Hayek, a leader of the Austrian school of liberalism, believed that keeping government small was enough to preserve competition. Eucken, who founded the school’s German branch, felt that anyone with excessive power, whether a government or a company, could threaten economic freedom. It is a pity that neither was alive this week to analyse the case of Hong Kong…. Our local readers in Hong Kong quite enjoyed this framing of what they considered their “little” hometown business controversies, since they don’t usually see their city connected to the big debates among Western intellectuals. I have a personal connection to that debate between Hayek and Eucken, which I’ll tell you about at the end of this post. which approach is likeliest to lead to the most freedom. So, because I’ve been parsing Liberalism here on The Hannibal Blog for a couple of years now, I thought I’d add a “continental” twist for those of you who are connoisseurs of all things liberal. For a lot of “Anglo-Saxons”, in my experience, the first surprise is that that there is a continental twist at all. Surprise turns into shock when the twist turns out to be specifically Germanic. Could Germans really have much to say about freedom? Well, yes, a whole lot. The liberal tradition is long and deep in the German-speaking countries. Obviously it suffered a near-death experience during the Nazi years, but then it came roaring back in the post-war years. More to the point, a lot of what we now tend to think of as “Anglo-Saxon” ideas actually have an intellectual pedigree that goes back to these “Germanic” (mainly German and Austrian) thinkers. Ludwig von Mises (above) was the first giant of the so-called “Austrian School”, and in turn influenced the even more gigantic Friedrich von Hayek. Hayek in turn influenced Milton Friedman, who in turn influenced Ronald Reagan and Margaret Thatcher, thus re-branding Austrian Liberalism in the minds of many people as an “Anglo-Saxon” thing. Walter Eucken, on the other hand, founded the so-called “Freiburg School” of Liberalism (after the university town where they hung out), which included liberal thinkers such as Alexander Rüstow (above) and Wilhelm Röpke (below). The first and most important thing to understand about all these thinkers is that they were friends. They liked each other’s company and liked debating one another. They viewed themselves not on opposing sides of anything, but on the same side: the side of individual freedom (which is what all classical Liberals agree on). The subtlety that kept them busy (and I deliberately oversimplify) had to do with order. The Latin for order is Ordo, so the Freiburg School eventually even called themselves Ordoliberals. Order, as opposed to anarchy, is necessary for individuals to be free. The question, however, is whether or not order comes about spontaneously. If the answer is Yes, as the “Austrians” basically believed, then the conclusion has to be that we simply need to keep government out of the equation entirely. The “market” (and this could apply to more than material things — ie, ideas, culture, etc) will then “order” itself spontaneously, though competition. The prerequisite is merely the rule of law. The Ordoliberals did not counter that the answer is No. Instead, I would call their answer Jein (a contraction of Ja and Nein in German). Yes, markets can spontaneously create order. But that order is not always stable. Worse, that order could be of a sort that robs individuals of liberty. What they had in mind were cartels, tycoons, cabals, and anybody else who amassed an unhealthy amount of power. So whereas the “Austrians” worried almost exclusively about excessive government power, the Ordoliberals worried about all excessive power, whether in the private or public sector. This led the Ordoliberals to the conclusion that government must, yes, stay limited, but must also supplement the “spontaneous” ordering of markets with “corrective” ordering. Government had to crack down hard on cartels and monopolies, for example. 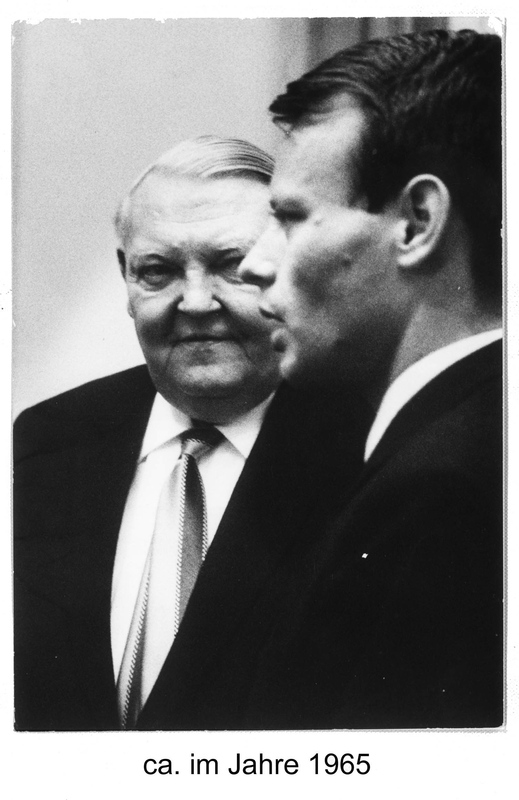 And if Hayek influenced Ronald Reagan and Margaret Thatcher, and thus “Anglo-Saxon” policy, the Ordoliberals shaped Ludwig Erhard and thus post-war West German policy, for Uncle Lulu was West Germany’s first economics minister and then its second chancellor. So back to those two isms. In essence, I think that Libertarians trace their evolution back to the Austrians featured here, and Liberals to the Ordoliberals. However, those Austrian and Ordo-Liberals themselves, if we were able to bring them here today, would be puzzled by the debate. They would abhor some of the intellectual excesses committed in both names, and remind us that they were originally almost indistinguishable. How do genuine liberals (as correctly defined) view the world? As a collection of individuals. How do conservatives view it? As a collection (clash?) of cultural communities. Socialists? Economic communities (or blocks). Fascists? Tribes, nations or races. If you view the spectrum not as a matrix or a line but as a loop or circle, things become clearer. Liberalism then reveals itself to be not the “place in the middle,” the “split-the-difference” no-man’s-land of compromise and moderation, but the extreme and radical opposite of collectivism, which includes everything from Nazism to Communism. But the debate is not merely about the desired outcomes — freedom vs equality — of policy. It goes deeper. It is a debate about the unit of analysis. What — or rather whom — do we care about? What matters? As a liberal, I instinctively choose individuals. People matter. There is no such thing as society. There are only individuals. Here is what she actually said. As you can tell, it doesn’t come close to Ayn Rand in shrillness. Enough prologue. Let’s talk about the new Arizona law against illegal immigration. In my article in the new issue of The Economist, I try to analyze how the law and the backlash against it might affect American politics. My editor wrote a “leader” (ie, opinion editorial) to go along with it. And both of those pieces follow a short piece I whipped up the other day, when the law was first signed. Now, it may not surprise you to learn that, in addition to the hundreds of, shall we say, passionate comments on our website, I have also been getting reader letters. I have already regaled you with you my cavalier amusement at the tone of the American reader letters I get. But I must say, the mail bag of late has taken another turn for the worse. I leave it to your imagination. for freer movement of people. Is it because I love Latinos, as some of my reader letters suggest (albeit in a different vocabulary)? Well, yes it is. I do love them. Though no more so than I love Eskimos, Wasps and Tibetans. I love them all, but only as individuals. This sounds like an ideal world: Free individuals and families moving wherever they want to go, with a minimum of hassle (besides the natural stress of moving). I admit that this was before some countries had welfare states which might attract poor migrants and thus be overwhelmed. This issue — whose taxes pay for whose benefits in a given land — must be addressed. And I also admit that this was before terrorists (who already existed) had access to weapons of mass destruction. So this issue — how do we keep murderous migrants out — also must be addressed. On the other hand, I do not admit that immigrants in general, whether legal or illegal, are more likely than natives to commit crimes, because research proves this not to be true. So what would a liberal Utopia look like? All individuals anywhere would be free to move to and live where they please, within basic and minimal parameters to address the two issues above. Americans, for example, would be allowed to go to Latin America or Europe to pursue careers, loves and dreams. Latin Americans and Europeans would be just as free to come to America to do the same. This would apply to the “high-skilled” migrants, such as Indian graduates from the Indian Institutes of Technology (IIT), probably the best university system in the entire world today. And it would apply equally to “low-skilled” migrants, because they, too, have contributions to make and dreams to pursue. Is this realistic? Probably not. That depends whether you view the world largely as tribes, classes or, as I do, individuals. Well, things change when you take a new beat, as I recently did (and as we regularly do at The Economist). In this case, I switched from a rather geeky beat–Silicon Valley–to a more general beat–politics and society in the Western states. Mostly, I’m thrilled about this new, and much bigger, hunting ground. But it comes with, shall we say, rather different reader letters. Our reader letters at The Economist can be witty but tend to be flamingly, aggressively, rantingly, lividly hostile. What varies is the level of sophistication. Some readers really know what they are talking about, and really know The Economist, and eviscerate us effectively and brutally. Others are, well, just plain amusing. once again shows the elite arrogance and display of socialist bias on the part of The Economist. Elite arrogance. Hmmm. Socialist bias. Hmmm. That’s a classical liberal/libertarian from a classical liberal family writing for the world’s oldest classical liberal magazine, displaying a consistently elitist and socialist bias. Gotta love our readers. Can’t wait to read the next batch. 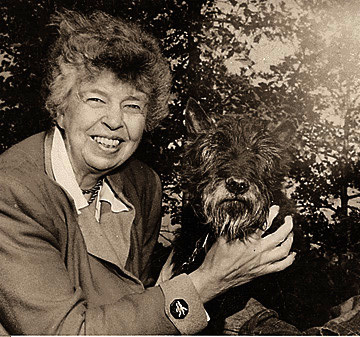 A major character in one chapter of my book, as hinted in the synopsis, will be Eleanor Roosevelt, who knew a thing or two about Triumph and Disaster being Impostors. 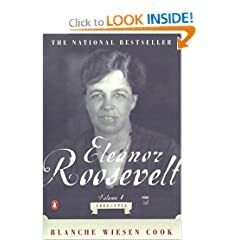 So a few biographies about her are in my bibliography. The best is this one. Always better to do so with a friend first, because your enemies will oblige very quickly. This also dovetails with Amy Tan’s advice to writers about seeking criticism, but from friends or sources they trust to be honest.